On 15 August, the ecclesiastical calendar celebrates MS Assunta (The Accenssion), patron saint of Marina della Lobra. 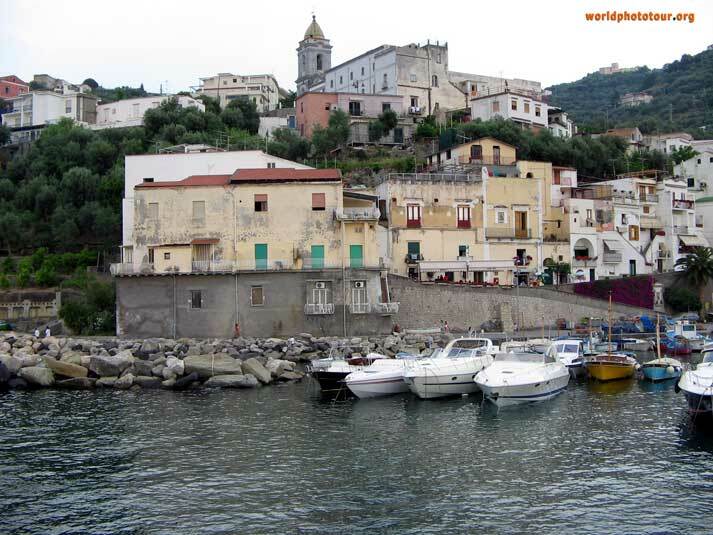 Marina della Lobra is a small port, very characteristic of the town of Massa Lubrense, where time, it seems, stands still and where life is still marked by the sea and its activities. On the occasion of the festival of the Ascension, a typical procession on the sea is celebrated. Most fishermen participate in this procession and come on their own boats from all over the Peninsula to honour the Lubrense Virgin Madonna. Once the picture of the Virgin is place on a boat moored in the port which has been fully decorated with flowers, the procession commences and continues until the rock of the Vervece, followed by the “barca della banda” (band). During the journey, the Madonna receives prayers and gifts of all who are waiting on boats moored in the sea. During the event, the entire marina changes its aspect: rugs, prepared altars, reddish drapery, flowers and fireworks all fuse together creating a truly magical atmosphere.